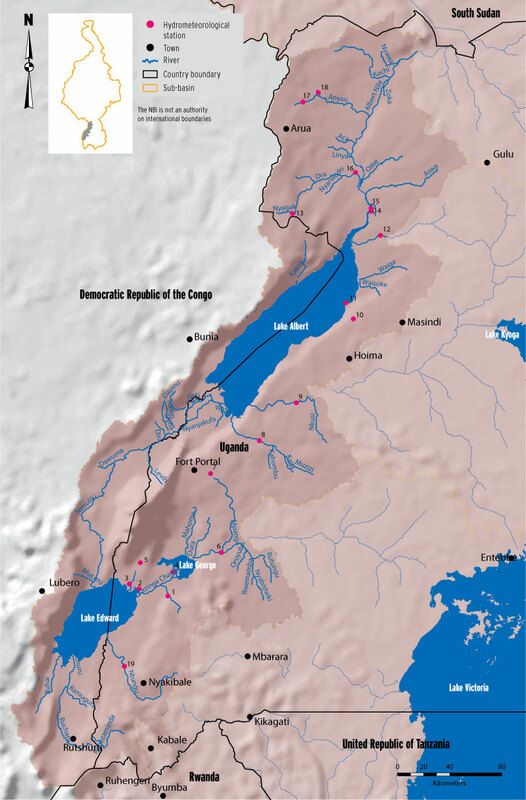 The Lake Albert Sub-basin is shared by DR Congo and Uganda. The sub-basin has three main lakes, Edward, Albert and George. 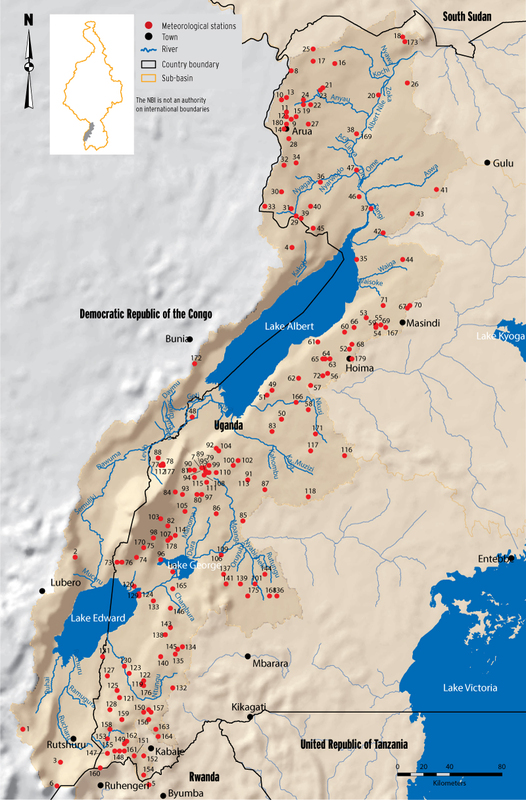 Victoria Nile is regulated in part by the outflow from the lake. The sub-basin is an area of oil exploration and, hence, water quality and quantity monitoring is very important for sustainable management of the water resources. There are 29 meteorological stations in the sub-basin; all in Uganda.11 stations are full met stations. The distribution of the stations is shown in the map below. There are 18 hydrometric stations in the sub-basin. The map below shows the location of the stations. The table adjacent to the map provides the list of hydrometric stations that were active at the time of the survey in 2014. Improved monitoring of Lake Albert and Edward outflows would enhance understanding of the interaction between Victoria Nile and the Lake outflow. Water quality monitoring in upper parts of the sub-basin requires emphasis in order to monitor and potentially avert pollution risks from oil exploration efforts there. 15 R. Albert Nile at Panyango.